Sometime last year, I wanted to branch outside of being just a fight photographer. 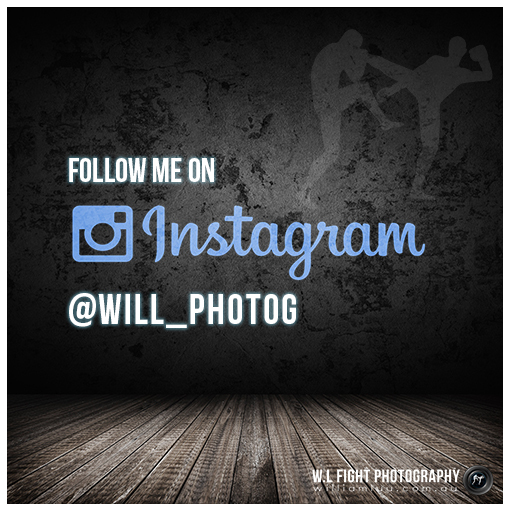 I wanted to also help give back to the sport and help boost the exposure of local promotions and fighters. Recently I think I've found a fun way to do that by doing these video and design projects. I figured these might get some hits on social media and get shared amongst my friends who are not in the fight scene. Instead of seeing standard bloodied fight photos, I added some fun design aspects to my photos to show people a different perspective of the 'barbaric' sport. Way of the Fighter was a result of many years of my dead end ideas. I interviewed fighters and asked how they felt at a particular moment of their fight and then added that to their photo. Before I began training in combat sports, my only way of learning more about professional fighters was reading their interviews in bi-monthly magazines or internet forums. There was still so many more questions that puzzled me and no mainstream sports outlet was covering it. It's pretty cool to be able to learn so much more about the sport, make good friends along the way and share all of this with new fans.